Avalon is a city that is rare in many ways. It has existed for years thanks to the discretion of its visitors. 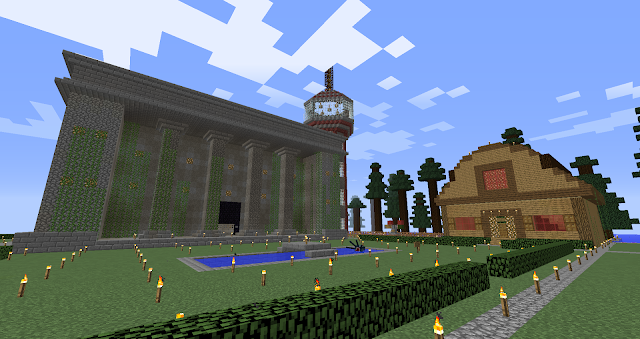 It has extensive, beautiful, and long standing builds which are few and far between on an anarchy server. It is neutral and welcoming to those who are lucky enough to find it. But one of its most unique features is the abundance and variety of mobs that live there. 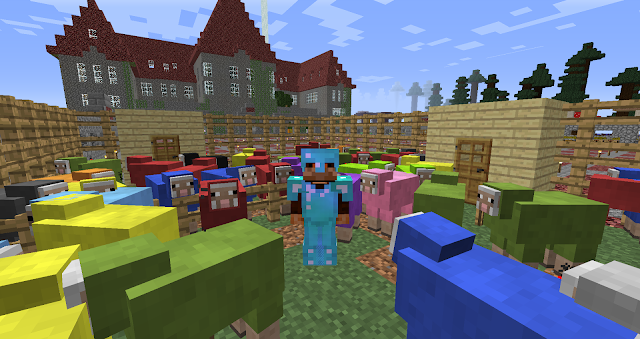 Whereas many bases and cities throughout 2b2t have farm animals necessary for food and resources, Avalon sports every type of passive, neutral, tamable, and utility mob, and a collection of almost every hostile mob outside of the nether. Some have been guests of Avalon for years. Others have been added as updates were introduced. One of the more colorful guests of Avalon is its resident guardian. Transported more than a thousand blocks from an ocean monument that appeared with the Bountiful Update, his protests, squeaks, and laser fire did not cease until he was deposited into his new obsidian tank. There he has flourished, silently cruising around and carefully eyeing anyone who comes to close. Far from the lasers of any hostile guardians is Avalon’s resident squid Mari. Having tragically lost his partner Cali (who jumped into a passing minecart on a nearby highway only to suffocate before she could be saved), Mari now spends his time in a local pool in front of the new Avalon Museum and Airport Tower. 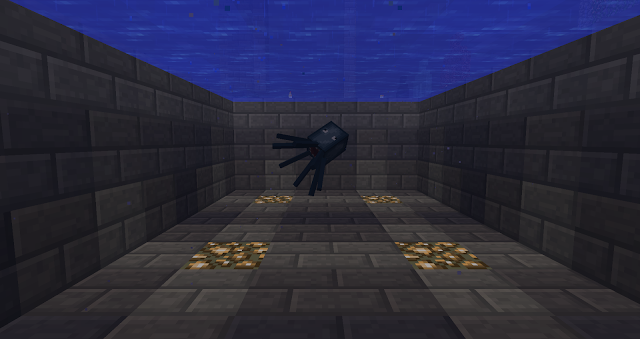 By far the trickiest mob to capture at Avalon was Nightmare, the enderman. Nightmare has been a resident of Avalon for more than a year. He was sealed in his cell while still in neutral mode, and as such has not teleported elsewhere. His cellmate is an armored zombie who tried to take an active role in the construction of Avalon’s cellblock long ago. To this day he carries a block of cobble around to no avail. 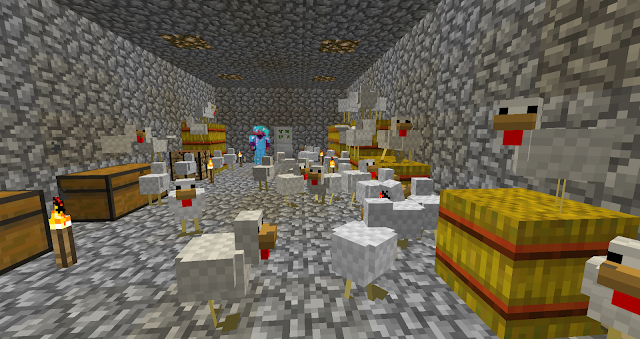 Throughout the rest of Avalon’s cell-block are a variety of other hostile and neutral mobs. A baby zombie has recently joined other zombies and a zombie villager. 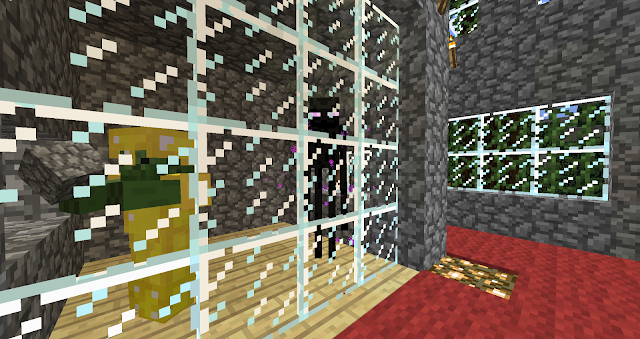 Creepers populate Avalon cells (which have been decorated and updated with the use of handy invisibility potions). 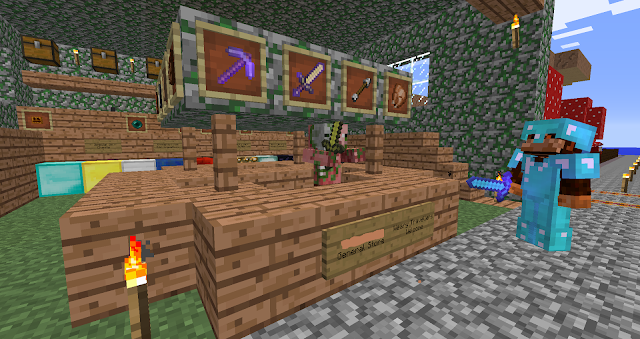 Skeletons and zombie pigmen have been added to the lot. Separate from these mobs in his own private padded cell is Avalon’s resident bat, brought up from the dungeons and tunnels far below the ocean floor – no small feat without the use of a lead. Of course utility mobs can be found throughout Avalon. 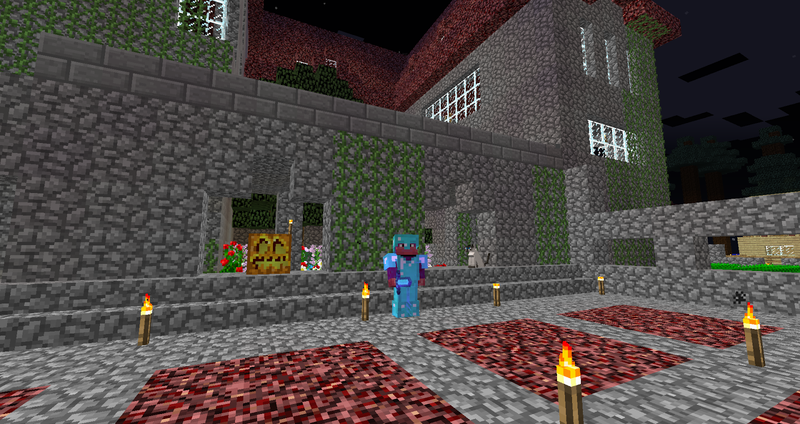 Iron golems patrol the inside of Avalon Castle and the nearby Museum/Library. Many also reside at the Villager Condos, bravely helping to avert or reduce the damage cause by the odd zombie siege. Groups of snow golems are also located throughout the city. They are generally calm with the exception of a local snow factory. There they tirelessly chase and pelt poor Bullseye, the zombie pigman whose eternal punishment helps provide chests full of snow. A simple but difficult addition to Avalon’s collection of mobs has been the rabbit. Every possible variety of rabbit (with the exception of killer bunnies which by chance or spawning restriction are noticeably absent) can now be found within the city limits. They initially had to be brought from far-away lands across large open oceans. They can now be found in large number and swarm any poor soul who dares to take out a carrot. An equally difficult addition to Avalon was its various cats. Ocelots from a distant jungle biome had to be captured and tamed. Different cats were then transported thousands of blocks back to Avalon. They now populate the city and castle, discouraging creepers and mewing and purring for fish easily plucked from nearby ocean. 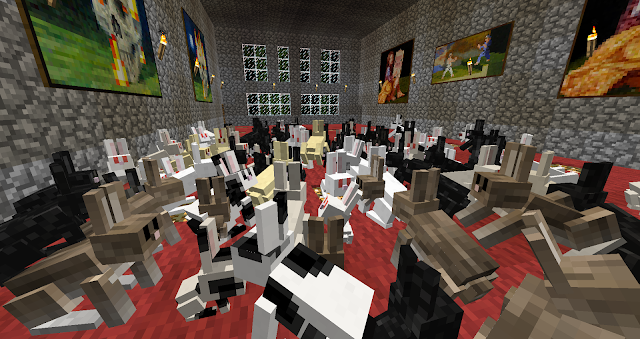 They can be found sitting in hallways and doorways, and of course on top of chests, beds, and furnaces. Once Avalon’s roadways reached taiga biome, wolves were tamed and brought back as dogs. They can now be found throughout Avalon Castle in addition to their old taiga satellite base. Wolves and ocelots in their original form have also been kept for a time, but they have since been released, tamed, or have escaped back into the wild. Pigman continue to populate and play important roles at Avalon. Trader Bob, as he has been named, runs Avalon’s General Store, greeting visitors from behind the counter in his typical way. 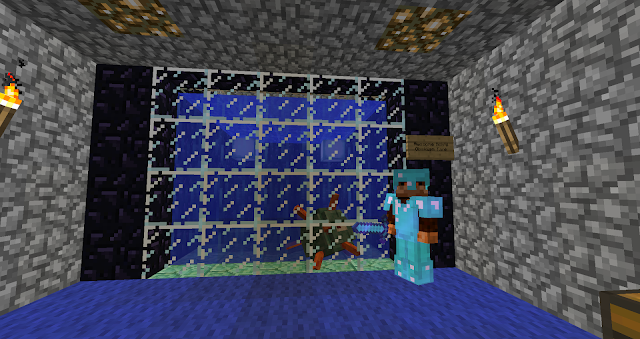 Pigmen Fred and Ralph continue to reside in their prismarine brick residence, mourning the death of Pigman George who tragically drowned earlier this year while renovations were being made to the home. Little Piggy, the baby pigman, can also be found nearby as plans are made for him to join the rest of his family, far away from the squeals of poor Bullseye. Avalon of course sports every type of farm animal including pigs, cows, chickens, sheep (including a multicolored jeb_ sheep), donkeys, and a mule. Avalon’s Eastern Ranch remains as well, featuring every possible pattern and color of horse. The most distant mob to populate the City of Avalon is the mooshroom. Long ago, a pair of mooshrooms were brought back through a less than simple route in the nether. Mycelium along with huge brown and red mushrooms were also brought back to provide these guests with more comfortable mushroom islands of their own. 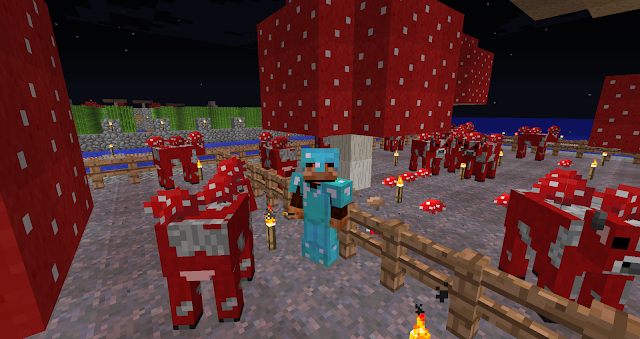 Mooshrooms have now grown in population and can be found at their Mushroom Ranch at the west end of Avalon, near one of two large and heavily populated villager condos. 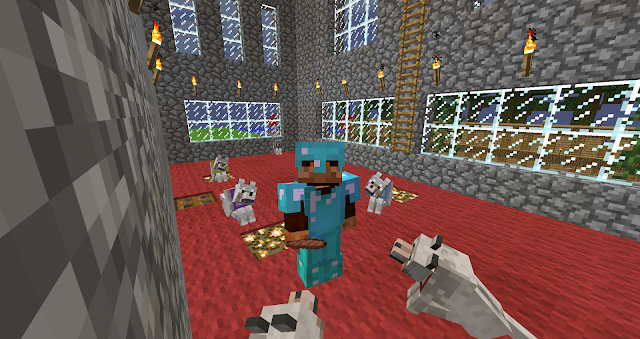 They regularly provide Avalon’s guests with generous chests full of mooshroom stew. 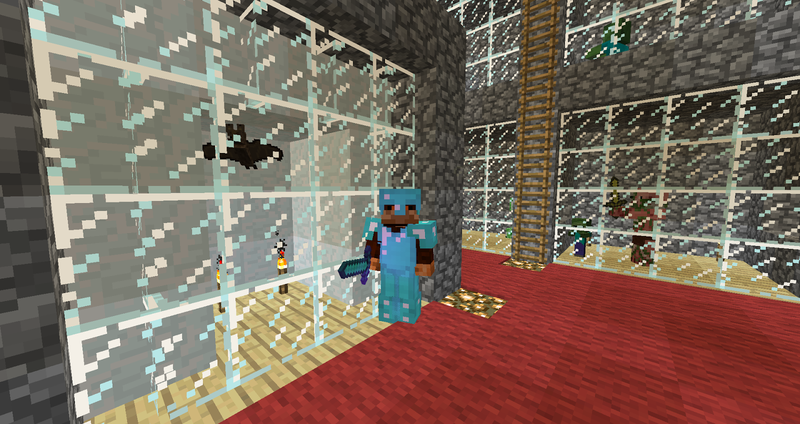 Avalon’s inventory of mobs remains incomplete. Plans remain in the works to bring further hostile mobs from the nether once some logistical and practical issues can be worked out. In the meantime, Avalon’s present population continues to add a fun and zoo-like quality to this distant city, which will continue to improve and add to its uniqueness among the other great cities of 2b2t. In the third and final segment of Avalon - City of Peace, some of its newest projects and oldest features will be revealed. These will include the new fully functioning Avalon Airport (complete with aircraft and docking stations), massive transportation upgrades, additions to the city’s library, more great monuments and builds, and a review of some of Avalon’s more decorative features including the great stained glass windows of Avalon Museum.